But it’s usually caused by a hungry newborn. If that baby isn’t causing all kinds of sleep disturbances and mom still isn’t sleeping, then it could be a case of postpartum anxiety insomnia. Many mothers find themselves unable to sleep due to racing thoughts, unreasonable worries, and the inability to calm their body and mind at night. Postpartum anxiety is a common condition that can affect a mother’s life in several different ways. She may experience social anxiety and avoid leaving the house or interacting with others. Anxiety can also manifest as anger and cause postpartum rage. 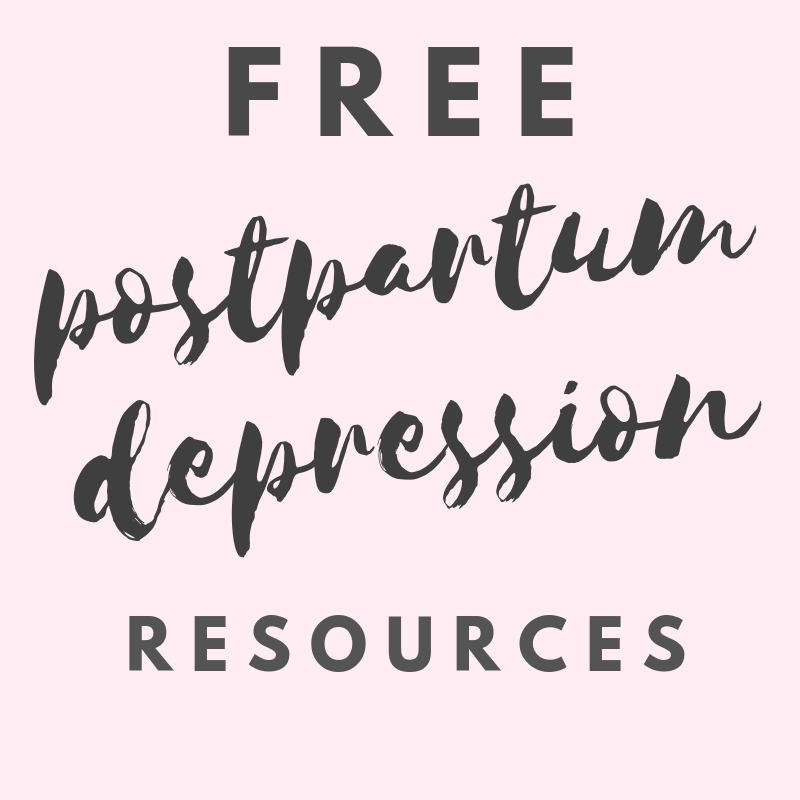 Often, mothers experience a combination of postpartum depression and anxiety. But sleep deprivation can exacerbate all of these symptoms and cause even worse ones. There are several ways to treat postpartum anxiety insomnia naturally and stop things from getting out of control. Here are 15 ways to get a better night’s sleep for moms who are suffering from postpartum anxiety insomnia. Just like sleep training children, a bedtime routine is important for encouraging proper sleep. Going to bed at the same time each night and performing a few routine tasks will help train your brain and body to know when it’s time to go to sleep. Rewiring the brain altogether is one of the best ways to help fight off postpartum anxiety insomnia. Keep in mind that it may take a while for your body to adjust to the routine. Depending on how bad your postpartum anxiety is, it could take months before you can regularly get a good night’s sleep. And since postpartum anxiety can be a life-long battle, you should be prepared to make your bedtime routine permanent. Social media is a huge contributor to postpartum anxiety insomnia. Scrolling through Facebook or watching Netflix before bed will only fuel your racing brain with more needless worries and thoughts. Make a plan to unplug from technology at least 1 hour before bed. Turn off the TV and switch your phone to Do Not Disturb mode so that notifications aren’t disturbing you in the middle of the night. Don’t freak out – you don’t really have to exercise… I know it sounds exhausting. The last thing I want to do after taking care of kids all day is exercise. However, exercise has been known to have a ton of sleep-inducing properties. So, if you feel like going for a run on the treadmill or doing some yoga, go for it, because it will definitely help fight off postpartum anxiety insomnia. But if the thought of “working out” is causing you even more anxiety, then save it for the morning instead. You can still get a serotonin boost by doing a few simple stretches. Stretch your neck and shoulders, bend over and touch your toes or sit against a wall for a few seconds. Postpartum anxiety causes a lot of tension in the muscles and stretching those out before bed will help you feel more relaxed. A hot shower is a great way to calm down before bed. The steam and heat combined with the gentle massage of the water beating down will relax the muscles and help open up the lungs. A massaging shower head is a bonus but not necessary. This can be especially welcome if you’re feeling over touched at the end of the day. Don’t feel obligated to do anything else except just stand under the water and enjoy it. A hot bath can work in the same way, if you have the time. Throw in some Epsom salts for an added boost of magnesium to help relax sore muscles, fight off depression and induce sleep. There are several herbal teas that can help fight postpartum anxiety insomnia. Chamomile and Valerian Root are the most popular bedtime teas and for good reason. Green tea, ginger tea and other blends are all great too! Experiment with different flavors and combinations to find out what works. Even some plain hot water with a slice of lemon will help you detox before bed. As long as it’s hot and caffeine-free, it will help to calm and soothe your body from the inside. Meditation is not for everyone. But if you’re dealing with a case of postpartum anxiety insomnia, it might help to try to cleanse your brain of the millions of thoughts floating around in there. There are actually a few different ways to meditate. You can try using a guided meditation app to help you get started. It’s also easy to practice self-guided meditation by setting a timer for a few minutes and sitting quietly as you work on eliminating all the thoughts from your brain. Meditating before bed is a way to manage your anxiety before your head hits the pillow, so that once it does – you will actually be able to sleep. Sometimes it’s not the postpartum anxiety alone that is causing insomnia. A good night’s sleep begins with comfort and your mattress has a lot to do with it. But mattress shopping can be really tricky (I know this because I used to sell them for a living!) Lying down on a mattress in a showroom for a few minutes is very different than sleeping on it all night long. You can try several different ones but eventually they all start to feel the same. And then, once you get that mattress home with you – what happens if you don’t like it after a few nights – or worse, after a few months? The key to making an important purchase such as a mattress is to look for one that will guarantee you a good night’s sleep. Unlike big box stores, mattress companies that sell their products directly will offer a better satisfaction guarantee and stand behind their product. The Nectar mattress, for example, offers a lifetime warranty, free shipping and is the only one I have seen that offers a free trial for an entire year! If you’re not sure of whether or not your mattress is contributing to your postpartum anxiety insomnia, it’s worth trying out a new mattress to see if anything changes. Try a Nectar mattress for an entire year plus get $125 off using my affiliate link. Weighted blankets are all the rage right now. They have proven benefits to reduce symptoms of anxiety and help improve sleep. The best part is, they’re a simple tool that doesn’t require anything other than just cuddling up and getting comfortable. The simple science behind a weighted blanket is that it creates a sensation of safety, similar to being hugged or held. The heavier the blanket, the more it stimulates your skin and sends messages to your brain that you are safe and protected. This allows the brain to stop worrying and rest for a while. Consider purchasing one through Weighted Comforts. Not only do they offer a wide variety at competitive prices, but they’re also sewn by refugees living in the U.S. There are several plants that encourage a proper sleep environment. Having a potted plant on your nightstand or anywhere in your bedroom can purify the air and rid it of any toxins or negative energy. Some plants with scented flowers, such as lavender and jasmine, can actually induce sleep. This is a beautiful and easy way to encourage your mind to feel at ease enough to sleep. Using scents is an easy way to transition the brain into a relaxed state. The National Sleep Foundation even suggests using scents to help you get a better night’s sleep. In order to battle a case of postpartum anxiety insomnia, you should consider everything that you are inhaling in your bedroom – from dust and allergens that could be trapped in your carpet or mattress, to the fabric softener you use on your sheets. There are several different ways to incorporate scents to help your mind and body relax so that you can not only fall asleep… but stay asleep! Scents that are good for relaxation and inducing sleep include Lavender, Vetiver, Cedarwood, Valerian and Frankincense, but the list goes on. You can try these in an essential oil (either a roll-on or in a diffuser), a linen spray, candles or scented satchets. You can even purchase Lavender-scented fabric softener to use on your sheets! One of the biggest problems with postpartum anxiety insomnia is the brain being unable to stop spiraling at nighttime. Something worth trying is distracting the brain through the use of background noise, such as gentle instrumental music or white noise like rain sounds. You could purchase a sound machine, but there are also several white noise playlists on Spotify. There are even apps that you can download that have a large selection of different sounds as well as other sleep aid features. Our brains are hardwired to associate sleep with darkness. With postpartum anxiety insomnia, it’s easy to look around the room and find a hundred other things to worry or think about. Reduce the amount of outside stimulation by making your bedroom completely dark. You can install blackout blinds or wear a sleep mask. Eliminate anything that your eyes can focus on, so cover up the blinking light on the TV and turn your digital clock around. If you start to feel anxious in the darkness, remind yourself that you can turn on a light whenever you want to, and that you are in complete control. It’s true that we often think of the most important (or completely unimportant) things while we’re lying in bed. The thought of possibly forgetting about it in the morning can cause a certain level of anxiety and disrupt our sleep. Writing in a journal or worry workbook before bed can help to eliminate some of the extra thoughts in our heads, but often we have a brainstorm as we’re lying in bed trying to fall asleep. So keep a journal or notepad and pen beside your bed so that when these seemingly important thoughts come to mind in the middle of the night, we can write them down, go back to sleep and know they will be there in the morning. Melatonin is a sleep-regulating hormone that is naturally produced by our bodies. For a woman with postpartum anxiety, those hormone levels could be out of balance causing the insomnia. While melatonin supplements are readily available, they run the risk of causing side effects, just as with any other drug. They could also cause problems if a mother is on anti-depressants, anti-anxiety meds or breastfeeding. If you plan to start a melatonin supplement for postpartum anxiety insomnia, always check with your doctor first. However, there are ways of increasing your melatonin production naturally. A lot of it has to do with diet. Foods that are rich in magnesium can help your body produce more melatonin. Pineapples, oranges, bananas and tart cherries are also rich in natural melatonin and make great bedtime snacks. Months of waking up several times in a night to feed the baby or go to the bathroom during pregnancy, etc., can cause your natural melatonin production to slow down. A change in seasons and increased hours of darkness can also have an effect. You can help correct this by exposing yourself to bright, direct sunlight during the day, and sleeping in complete darkness at night. The best way to know if you are truly suffering from postpartum anxiety insomnia is to keep track of your sleeping patterns. Tracking your sleep habits for a week, or a month or longer is a great way to help you identify what is keeping you from getting the best night’s sleep possible. You can write them down in a sleep tracker log or download an app that will track your sleeping patterns for you. Sleep deprivation is very dangerous to a mother’s mental health. If you can’t remember the last time you had a good night’s sleep then you’re at risk for suffering from postpartum rage, intrusive thoughts and a variety of physical symptoms as well. Consider trying cognitive behavior therapy if something specific is keeping you awake at night. But if you’ve tried everything you can and still find yourself suffering from insomnia, make sure to speak to your doctor. For more information about the effects of sleep deprivation, check out this guide from Yoo Health.